Sources within the Senate are saying that John McCain’s health is in a steady decline and that the side-effects of his brain cancer treatment have kept him from the Senate. He was diagnosed earlier this year with glioblastoma, an aggressive form of brain cancer. I’m not a fan of John McCain. He is too progressive for my tastes, but I feel great sadness for him and his family that this is happening. I have had a family member pass on after suffering the ravages of brain cancer. It’s not a pleasant experience for anyone. My sister-in-law one day fainted. Not for long, but she went to a doctor. It was her first symptom. She had cancer throughout her body, but especially in her brain. She checked into the hospital and never left. It was one of the saddest things I have ever lived through. Personally, I pray for a miracle for McCain, that it will be lifted from him and he does not go through what my sister-in-law did. He has been described as “increasingly frail” and it has been noted that he has not been nearly as vocal in GOP meetings as he has been in the past. McCain has also been absent this week as he visits the Walter Reed Medical Center for treatment. The Senator is undergoing radiation treatment for the brain cancer. 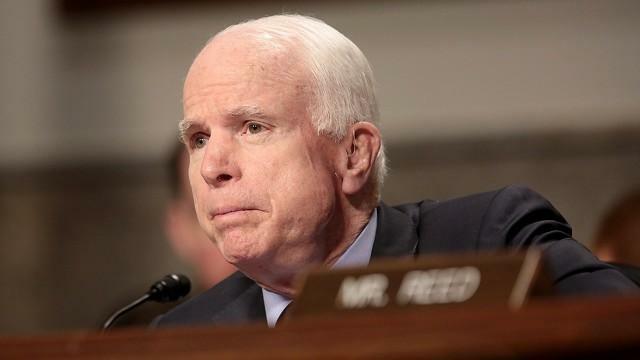 Another source is saying that McCain’s energy levels have noticeably dropped, causing many to worry that he may not be able to carry out his duties as he fights this horrible disease. And that could well be the case. The treatment that may prolong his life will also weaken him in many ways. And there will come a point where he will remain in the hospital. Lindsey Graham spoke to McCain’s wife, Cindy, about how John is bearing up under the weight of his duties and the medical treatments. He was upbeat and optimistic about his friend, just as you would expect him to be in this difficult time. “The main thing I am focused on is to just get better. John, take a little time. Rest up. It’s OK,” Graham continued. “Take a day or two off. He’s had a heck of a Senate schedule. 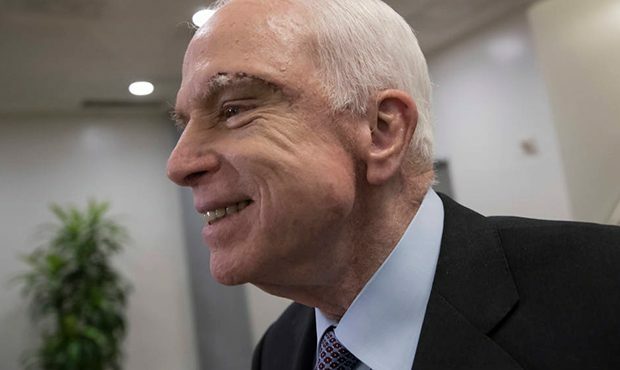 And I hope he will take some time to regroup, do a little rehabilitation on his leg, and come back and participate in a way that only Sen. McCain can participate.” Unfortunately, McCain may not get a choice in the matter depending on his strength and prognosis. Last month, McCain received treatment for a torn Achilles tendon that required him to wear a boot for some time. He just can’t seem to get a break during all of this. I may not agree with him politically, but he needs our prayers and best wishes. This will be the Senator’s fifth month of treatment for his cancer and while many say that he is in good health and better spirits during his battle, other sources are telling a different story. The truth is probably painful here, but at some point everyone will have to face the fact that there will come a day very soon when John McCain will no longer be in the Senate. However, if this is impeding his ability to carry out the duties to which he was elected, it might be time for him to step down and let someone take his place. Stress doesn’t help the battle and politics is one of the most stressful, draining things in existence. President Trump called Cindy McCain today to check on John. I’m sure that meant the world to McCain even though he is not close with Trump. It was very thoughtful. Keep John McCain in your prayers, as well as his family.